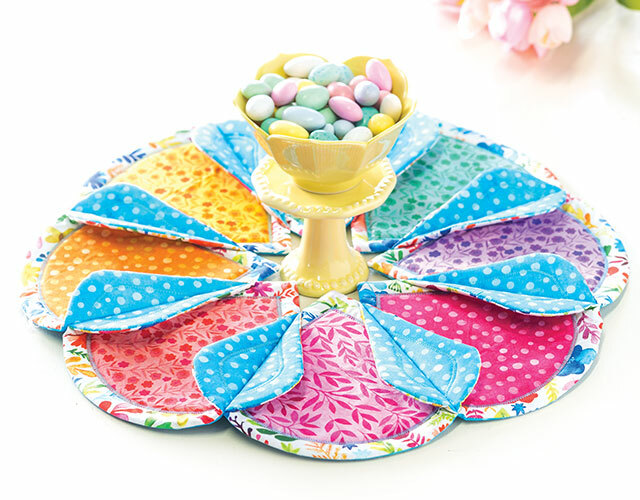 Learn to make Fold 'n' Stitch table toppers that can be used as a dinner table centerpiece, coffee table accent or even as outdoor decor! 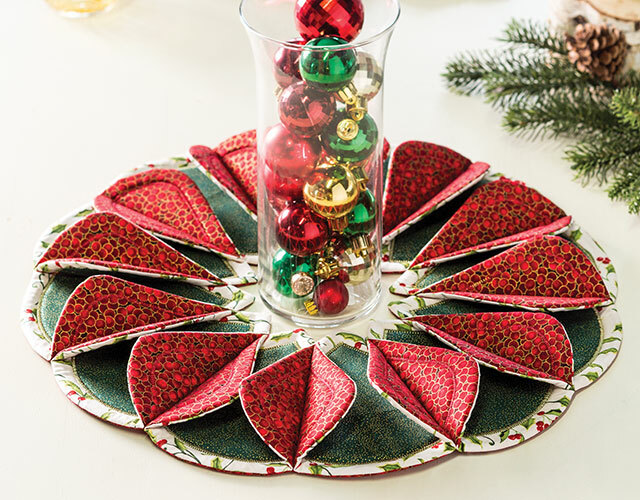 Your holiday gift list will grow as your friends and family drop hints for their very own table topper. Work with fusible foam and web. Create the appliques ... and how to. Assemble your unique table topper. 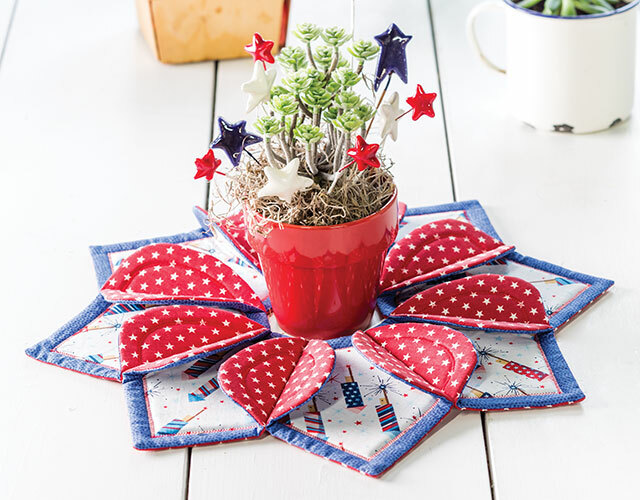 Class includes complete step-by-step instructions for the 8-Piece Star and 8- and 12-Piece Flower Table Toppers. Kristine is very knowledgeable and her instructions are clear and very easy to follow. The pattern is simple yet elegant. I can't wait to make this project!! What an amazing class....Kristine explained everything so easily that even a beginner like me can do it. Can't wait to get started. I loved this class. I am on my third one. Lots of gifts for friends! Made this table topper and was easy to understand. And plan on making more.